“Don’t eat out, stay at home, rest well! This is common advice we hear whenever exams are around the corner. The first thought parents or teachers have during the exam season is – ‘CHILD must stay HEALTHY!’ (However, students can only think about their upcoming (healthy) vacation!). In any case, exams or not, at every stage of life, good health is a very precious asset, especially for the budding young generation. We at Report Bee already check on many vital aspects concerning a child’s overall growth. Now, we have come to the most significant wellness factor – health, which we also believe has a significant impact on learning. 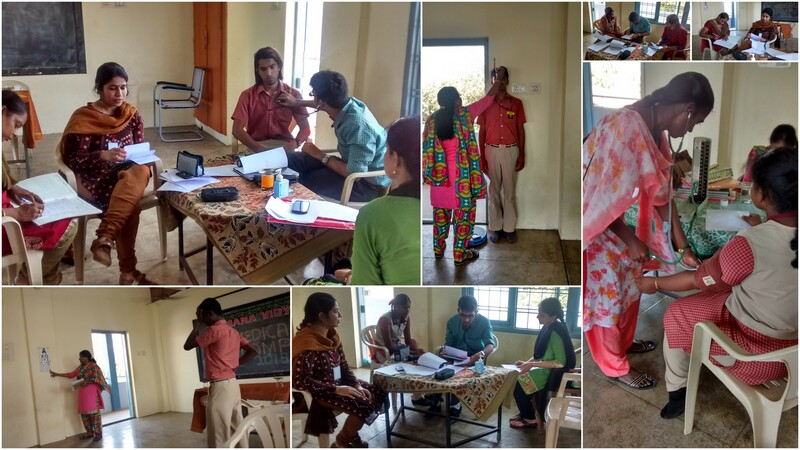 Observing the present day school health camps, we realized that these medical events are only conducted for namesake (or rather, regulation’s-sake) and provide no real actionable insights. Even in schools where they are done properly, the health data is not interpreted rightly to provide maximum benefits to the child. It’s only natural for us to think that something must be done! We decided to develop something that should be of minimal effort for schools and doctors, and still sufficiently scrutinise a child’s overall health and increase self-awareness. Achieving that balance in health forms (i.e. to collect the ‘right’ amount of health information without it becoming a chore) was the biggest challenge. 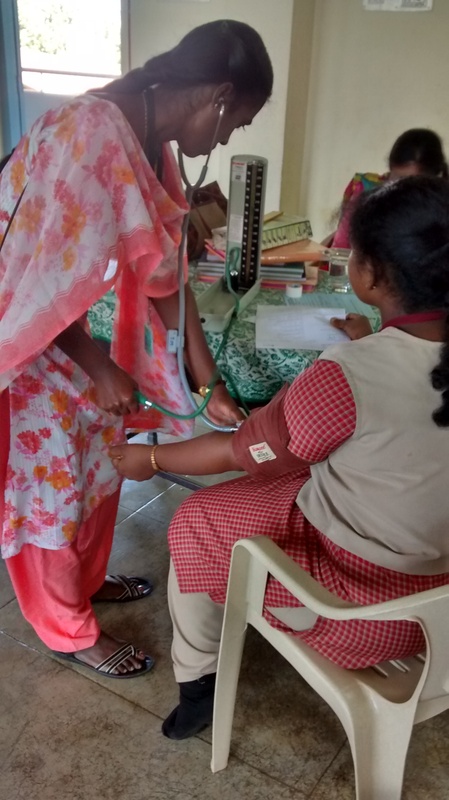 Obviously, when it comes to health, we want to check it ALL – but we can’t really do a ‘Master Health Check-up’ for 5000 students at health camps. This is where we collaborated with eminent doctors from reputed National & International Medical Institutes to help us design concise, yet comprehensive health forms. Following intense analysis and a number of iterations (which would probably be an interesting blog post by itself! ), we came up with a neat process-flow that is just about right! Our health protocol is so comprehensive that it encompasses numerous parameters like physical fitness, nutrition, personal hygiene, behaviour and so on. Everything is represented in a typical ‘Report Bee-style’ (read brilliant) output: the ‘Thinking’ Health Card. We then took the time to Pilot test our new product. 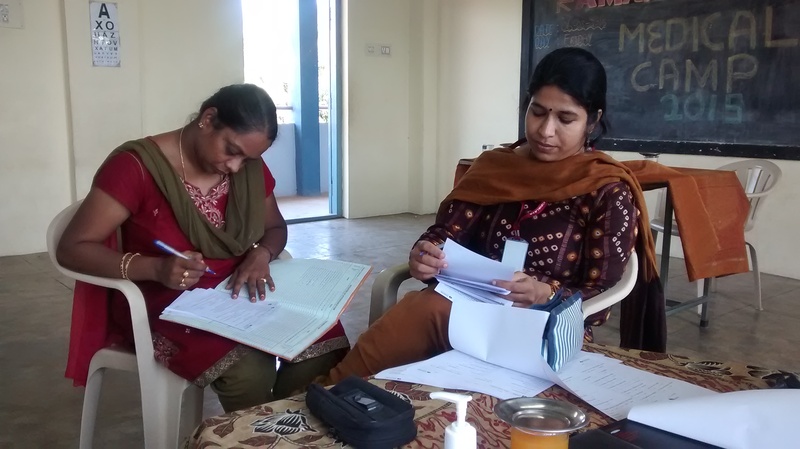 Getting the timing right, we conducted a very productive Health Camp for students who were about to appear for their final-term examinations. With excellent co-operation from doctors, nurses and teachers, it was a promising start for our product. Harnessing the incredible power of data, Report Bee has pioneered in multi-variant data analysis (with the aim of improving learning, teaching methods and so on). Our latest venture is with one of the most powerful forms of data – health data. Now that we have meticulously developed the ‘Thinking’ Health Card that helps improve children’s overall health and consequently improves learning, parents and teachers should feel empowered to take the right action at the right time – early intervention is the key. To realize the full potential of ‘Thinking’ Health Card, it is crucial that parents, teachers and children constantly stay aware and take swift action on any health requirement that may have come up in Report Bee’s health analysis. 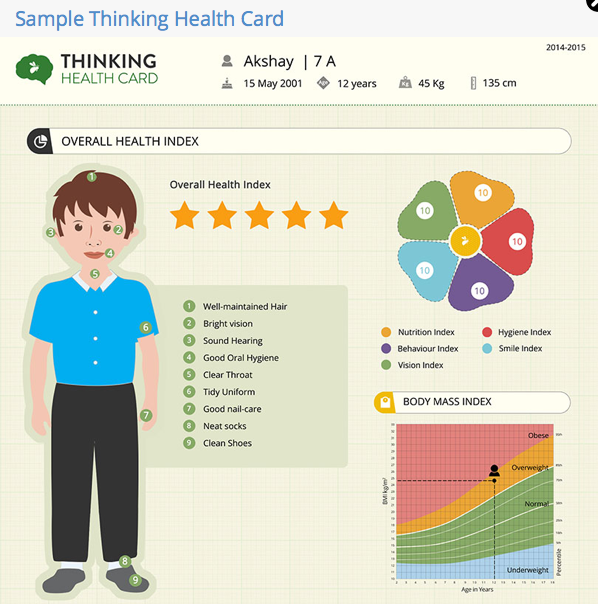 So, shall we start a healthy academic year with Report Bee’s ‘Thinking’ Health Card? What a herculean task this project was. I’m truly proud of the team that accomplished this project against so many odds. Now we have to take it to the world. This is phenomenal! It would be great to know in detail about the analytical considerations of this Thinking Health Card, as mentioned in the blog. As rightly depicted, happy children learn better! Great going, bees! Presenting a tracker of health in an easy to relate to and enable early intervention is solving a very important problem . Am extremely excited to see this and eager to see how we deploy this to scale. Cracking 5000 students at a health camp and getting the individual health metrics, with meaningful insights per student is impossible. Congrats team for making impossible to possible. Excited to see the product in market. It is important to collect health info along with the academic data of the child. 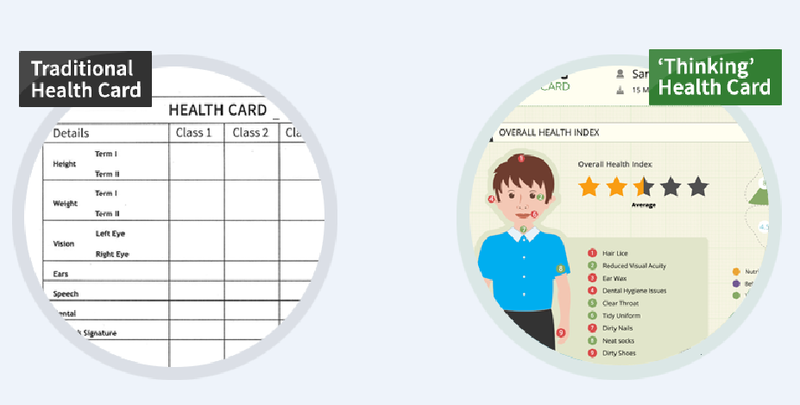 This card is visually attractive and will help parents, teachers and students understand the health status at a glance! Extremely useful! Kudos to the entire team! Conducting a health camp in the school was a fun activity and we learnt a lot from the doctors and teachers. Its a pleasure to meet doctors, teachers and schools super excited about the product nd wants it to their schools to benefit the child in all spheres of life in a school. Sharing the right information to the parents at the right time becomes a key. Not just that, presenting the health information in a simple understandable and actionable format is the need of the hour and the team is doing that. Good one, Chandana! wonderful job Report bee team..! Ananth., I can see your strike the balance factor in this product. Good Luck..! This is one of the first important metrics that Report Bee captures apart from the compulsory academic data. Since most of data points were not standardized earlier, I really appreciate the teams efforts to do the in depth research with doctors on what all to capture and to come up with the ‘right’ balance and setting up a standard which is really high. I am sure by knowing the advantage of THC, world will thrive to have it and we can see more healthy generation on board. One step forward in bringing the holistic view on student learning ! health does play a important roles! time to get serious and create awareness. Nice work!! Kudos! !